The first IFLA Trend Report, released in August 2013, described the forces shaping libraries around the world, and asked the question: how will we access, use, and benefit from information in an increasingly hyper-connected world? The Trend Report is intended to be a starting point for ongoing reflection, analysis, and debate. New Technologies will both expand and limit who has access to information. Online Education will democratize and disrupt global learning. The boundaries of privacy and data protection will be redefined. Hyper-connected societies will listen to and empower new voices and groups. The global information environment will be transformed by new technologies. Between 2013 and 2016, the global IFLA community engaged in conversation and debate about the Trend Report. The IFLA Trend Report 2016 Update shares the results of these conversations, and highlights new questions that were just emerging in 2013, such as Blockchain technologies, 3D printing, and the importance of redefining the role of libraries. The IFLA Trend Report 2017 Update brings together the ideas that emerged during the annual President’s Meeting, building on the trends from the 2013 report. 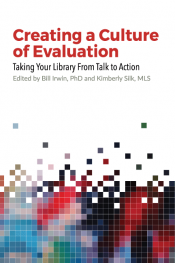 It also includes the perspective of the Global Vision discussions, which were initiated in April 2017, and have engaged thousands of librarians from across the globe to discuss how a united library field can tackle the changes in our world.